Android updates are wonderful things, especially if you have a smartphone or tablet with the word ‘Nexus’ on the back. If you do then we have good news, because there’s a new update for you. 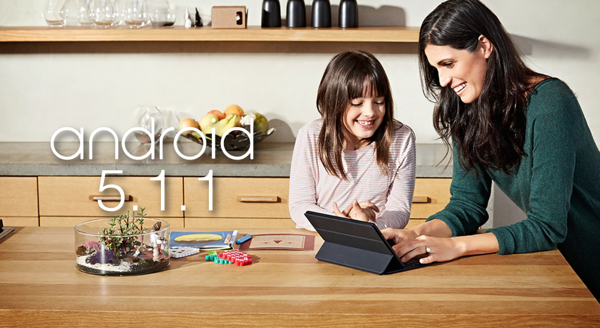 Introducing Android Lollipop 5.1.1 – and you can download the OTA update today. The OTA downloads can all be had via the links below should such a thing interest you, though as always it has to be said that the safest and indeed easiest way to get any new version of an operating system – be that mobile or otherwise – is to wait for the build to be pushed it to you. If you just can’t wait though, manual downloads are do-able but requires the user to be careful, because anything can go wrong during the flashing process. We don’t want to hear any horror stories about phones or tablets that have had a bit of a moment during an update! The arrival of hotly minted versions of Google’s Android for its Nexus devices is once again a prime reminder of why going for the blessed Nexus moniker when choosing a new smartphone or tablet can be a better option than something from a hardware partner such as Samsung or HTC. Devices carrying the Nexus name get updates first, before anything else even gets a sniff thanks to its stock nature and the lack of extra layers of software that need to be added and tested before a new build of Android can be pushed out. If you like super quick updates then the Nexus program is the only way to go unless you happen to have a special Google Play Edition version of your favorite hardware knocking around. Which most of us don’t, of course. If you want to go ahead with the flashing, then simply follow our detailed guide outlined here, using the freshly available Android 5.1.1 files linked above.